Which session is right for me? How old do I need be to go to each session? What's the difference? Read on, and all will become clear! We have worked hard to create sessions to suit all ages, all abilities and all needs. We are constantly assessing how we can improve to meet your needs, so do make sure you let us know how we can keep you coming back! Our most popular session, for children, teenagers and grown-ups too! 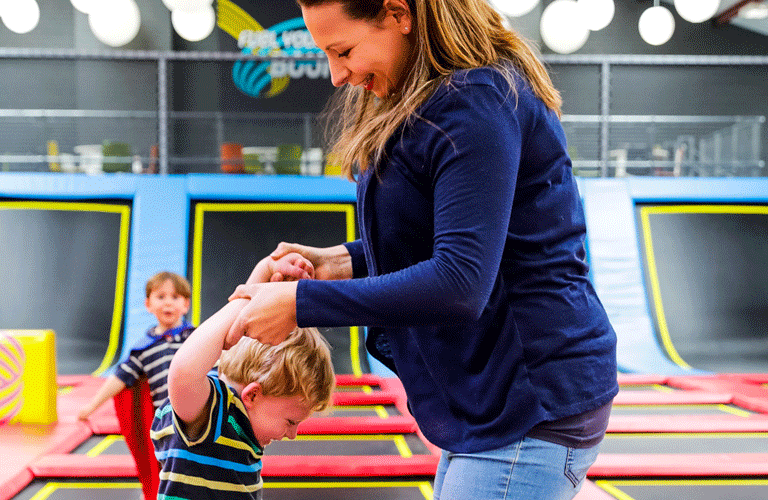 Kanga Bounce is our all-action, fun-filled, unlimited access bounce session for any budding Kangaroo over the age of 4 years old. That includes teenagers and grown-ups, because RedKangaroo isn’t just for kids! 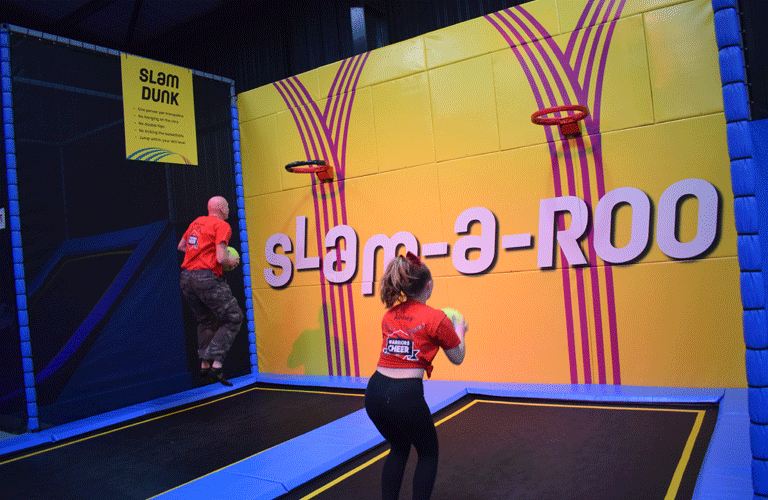 Kanga Bounce sessions include full access to over 100 trampolines, a dodgeball court, ninja warrior course, total wipeout zone, gladiator beams, foam pits, slam dunk courts, tumble tracks and loads more. 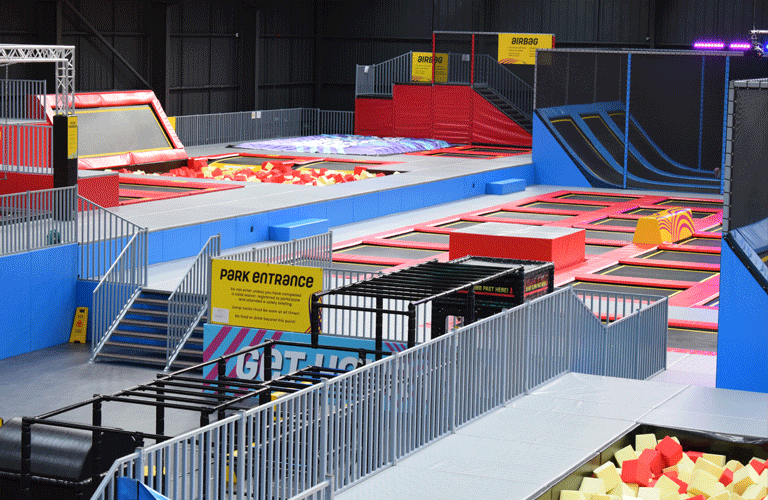 Toys, Tots and Trampolines… A session just for 1 to 5 year olds! We believe everyone was born to bounce, and our Kanga Tots sessions are the perfect chance for your littlest Roo’s to experience the thrill of bouncing in a spacious and safe environment. Designed for children aged 1 to 5 years old and their parent (or accompanying adult), Tots sessions have the bonus of extra toys and FREE entry for 1 adult with every child. What’s more, with our brand-new Kanga Tots Loyalty Card, the more you come, the more you get back! The perfect pick for families who want to bounce as a troop! Our regular Kanga Family sessions are ideal for young families to get active and have fun together. 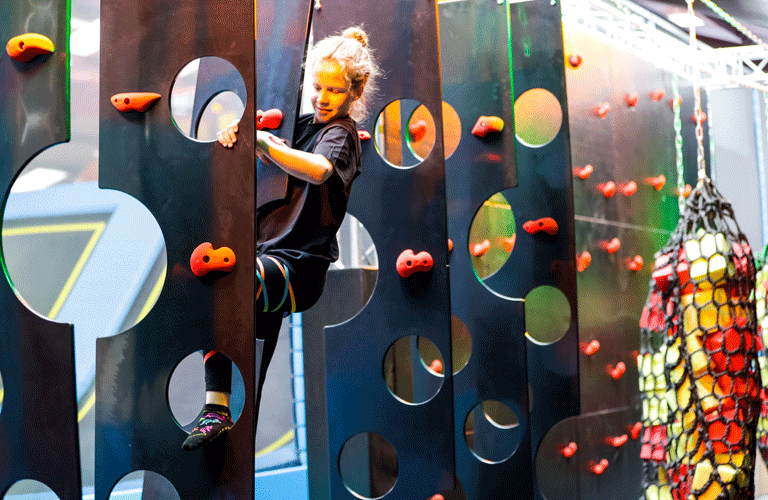 Designed for children aged 2 to 12 years old and their parents (or accompanying adults), this age restricted session is teenager free, so your little Roo’s can have the run of the park! 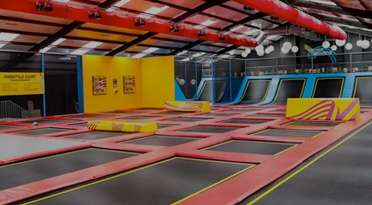 Kids aged under 4 must be accompanied on the trampolines, (an adult must go on to supervise - which is free, just buy a pair of socks) adults with 4s or over who wish to jump just buy an additional adults ticket! A quiet session designed for Roos with anxiety, autism and sensory needs! *Mandatory RedKangaroo socks must be worn (£2 a pair). A fun and fabulous trampoline fitness class with a trained instructor! While we love that trampolining is fitness dressed up as fun (shhhhhh! ), we’ve worked with qualified fitness instructors to create a more structured Kanga Fitness class for ages 16+. With a weekly programme designed by qualified instructors to build muscle strength, increase cardiovascular fitness, improve co-ordination and significantly reduce stress, you’ll not only feel the benefits, but have fun doing it! With ten minutes of trampolining believed to be a more efficient cardio workout than 30-mins of running, get your friends together and get down to Kanga Fitness! Kanga Fitness classes currently run at Reading only. A special 2-hour after-school treat for just £7.95 (inc. Free Slush)! Drop into our term-time Happy Hour sessions, Monday to Thursday between 4pm-6pm for an after-school bounce that takes the stress out of the school run! Whether you want to make it a treat or just burn off some post-school energy before bedtime, it’s our best value bounce that never disappoints! 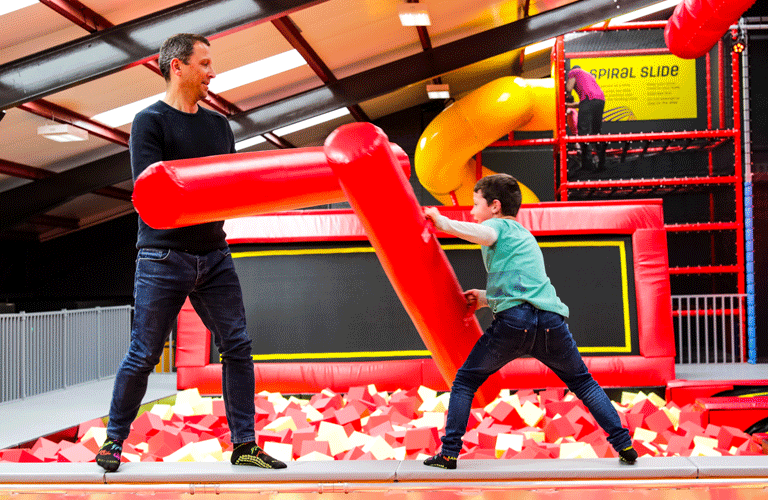 If you get held up on the school run, no worries – you can drop in any time, with every ticket including up to 2-hours of bouncing plus a FREE Polar Krush slush! It's RedKangaroo to the Resc-Roo with this holiday 4 o'clock special! 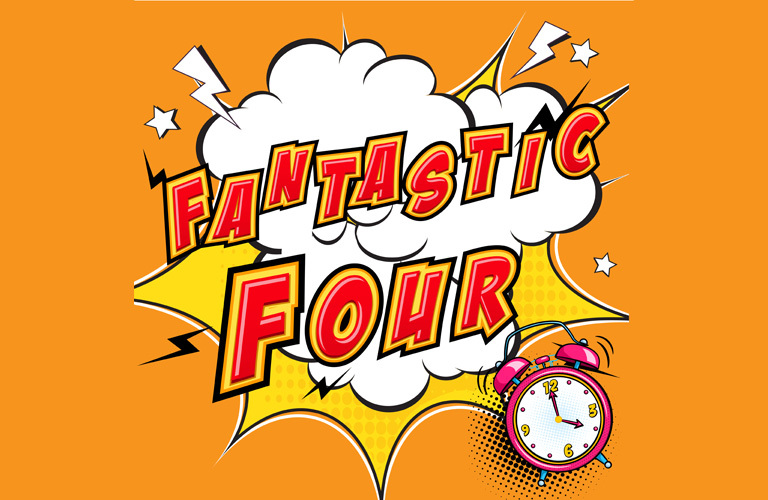 During the school holidays, it's time to put on your capes and get the super power of the kangaroo bounce with our Fantastic Four promotion. Running every Monday - Friday, during the School Holidays (ex Bank Holidays) at 4pm, we'll slash our prices for 1-hour only, meaning entry is just £7.95 per person! The rules are the same as a Kanga Bounce, it's for ages 4+ but that doesn't mean that teenagers and adults aren't more than welcome to come and fly too!